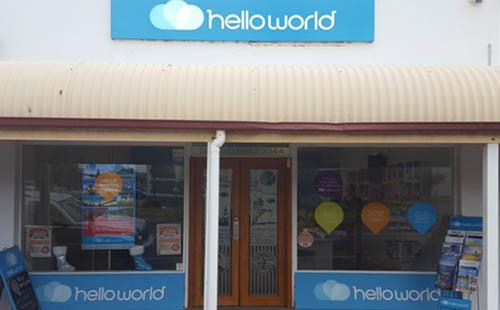 Helloworld Port Augusta is your local, independently-owned travel agency, owned and managed by Barbara Hunt with over 30 years of travel expertise to draw upon in tailor-making your next unforgettable holiday. Barbara’s passport has recent stamps from Cambodia, Ireland, the United States, France, New Zealand, the United Arab Emirates, Egypt & Spain to name a few: make an appointment to glean her experience on your next destination. If your suitcase or bag is more than eight years old, the first trip you should take is to check out more modern luggage. The latest fabrics and plastics are much lighter, more durable and far easier to wheel or to carry than they've ever been. If you have any questions, comments to Helloworld Port Augusta please feel free to drop us a line or complete the form below and we will get back to you.